They Raspberry Smoothies are easy to make at home! No need to pay the high price of purchasing these delicious drinks! All you need is a blender or a food processor to make your own smoothie fruit creations! 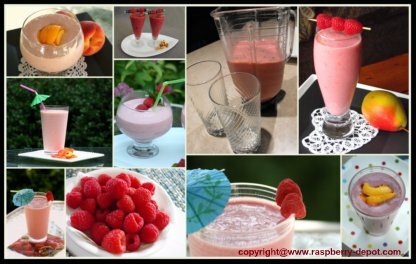 Included in this Smoothie Collection are recipes for raspberry smoothies of all kinds; plain raspberry smoothies and smoothies with a mixture of fruit. Smoothies are scrumptiously delicious, and healthy to drink! Fruit smoothies and shakes are considered healthy drinks because they are typically packed with the vitamins and nutrients needed to maintain a healthy balanced diet. These drinks are a great way of making sure our kids, (and everyone! ), receive essential nutrients. Why not make one today? Try one of these Smoothie Recipes or Raspberry Shake Recipes, and ... be creative! You can add other fruits and flavours too! 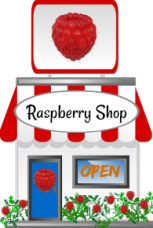 For most smoothies you can use fresh or frozen raspberries. 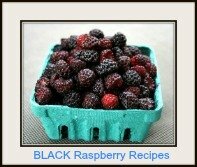 I have included Raspberry Smoothies with peaches, strawberries, blueberries, blackberries, pears, kiwi, mangos, pineapple, bananas, coconut, and more! 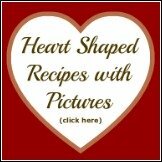 Low Fat Smoothie recipes are included too! Kids and teens, even those who loathe eating their fruits, and have to be cajoled into eating a piece of fruit - love them. 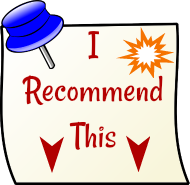 Smoothies are "cool" drinks, and a healthy alternative to sugar-packed sodas! Even many adults who prefer not to have an alcoholic drink, enjoy fruit smoothies as an exciting and adult alternative at social functions and get-togethers.